In a behavioral interview, the HR managers will ask you about various work-related situations, such as a situation when you experienced pressure in work, one when you had a conflict with one of your colleagues, a time when you achieved a goal, or actually failed to achieve one, etc. The logic of the behavioral interview is the following: if you approached a certain situation in a certain way in the past, you will likely approach it in a similar way in the future. And because science has proved several times that we follow certain way of conduct, and certain formulas of thinking throughout our entire adult life (most of these formulas of thinking we have developed in our early childhood), behavioral interviewing certainly makes sense. It provides some insights into the “mind and soul” of each job applicant. Describe a situation when you had to motivate someone in work. Describe a time when you had to deal with an angry or upset client. Summarized and underlined, behavioral questions belong to the most popular questions the interviewers use, especially in Europe and in the United States. Unless you apply for a very simple job (think waiter, lifeguard, stock operator in a small retail store, nanny), you will have to deal with at least some behavioral questions in your interview, and this is true even if you apply for your first job, and have no previous working experience. We have analyzed the fifteen most common questions. Bear in mind that when we talk about behavioral interview, the position you apply for does not matter much. Laborers, white collars, blue collars, directors – they all experience pressure, meetings, conflicts, successes and failures in the workplace. 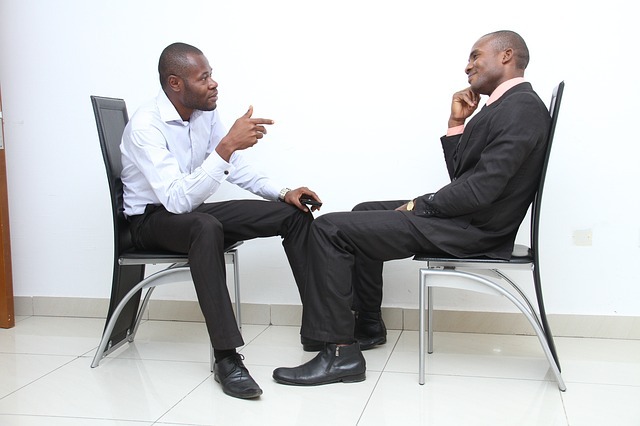 Therefore the behavioral questions does not differ much from one interview to another. Below you will find a short analysis of ten of these questions. Check our Interview Success Package if you’d like to see an in-detail analysis of all fifteen questions, and multiple brilliant answers to each question, for both people with and without previous working experience. See the questions and short analysis of each question below. Goals help us to feel motivated. It is easier to prepare a “to-do list”, and to understand the importance of each task on our list, if we have goals that we try to achieve in work. Interviewers try to understand if you set goals for yourself (each responsible employee has some goals). What is more, your answer to the second part of the question (how you achieved the goal) helps them to understand your methodology of work, and your attitude to work. Are you an average employee who just takes care of their duties? Or are you an exceptional one, who strives to go above and beyond for their colleagues and customers? Companies try to hire people who do not mind going above and beyond with their service, to help their employer to stand out from the crowd. Note: Check our Interview Success Package to see multiple brilliant answers to all common behavioral interview questions, and to learn how to impress your interviewers. Interviewers want to hear how you reacted to the pressure, if you managed to prioritize your tasks, and how did the pressure you felt affected you in your daily job. You will most likely face stressful situations and deadlines in your new job, so they want to see if you are ready to face these challenges. Everyone lacks motivation sometimes. Great employees can not only find an inner motivation, but they can also help the others, their colleagues, to find the motivation and to see that it makes sense to work hard and to try their best every day. Overwhelmed with their personal problems, people are often aggressive, angry, sad, or irate when they do their shopping, eat in a restaurant, talk to a sales rep on the phone. Interviewers try to understand if you count with the behavior, if you know that the client is always right (even when they are wrong), and if the bad behavior does affect you somehow in job. Employees should respect the line of hierarchy in the company. At the same time, however, they should try to help their employer to achieve good results. If something can be done better, an employee should not hesitate to suggest an area for improvement. Interviewers try to find out if you know how to talk to people from other departments of the company, those who do not understand your professional jargon. They try to see if you can explain difficult things in a simple way, in the language your customer will understand. This is a common question in all levels of managerial interviews. The most difficult decisions (in work) are typically related to the people we manage. To dismiss a colleague, or to relocate someone we like, is not an easy thing to do for anyone. The interviewers try to understand if your emotions and your personal preferences interfere with your decisions in work. Interviewers want to see your attitude to failures, and to the mistakes you made. Did you learn anything from the failures? Did they break you down, or did they make you stronger? Relationships matter. 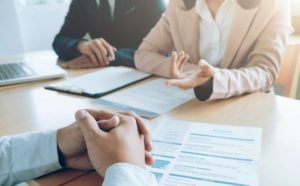 Interviewers try to see if you can build a good connection with your boss, your colleagues, the clients, or the stakeholders in general. They also try to understand whether you take the initiative and try to strengthen the relationships, without waiting for the other person to make the first step. You should speak about the situation with a good outcome and you should stress that you tried to build the relationship, that you took the initiative. A rule of thumb is that you should always try to narrate a situation that had a positive outcome (when you handled the stress, solved the conflict, achieved the goal, etc). Another important thing is to not show negativity when you speak about your former colleagues and bosses. And when you talk about a negative experience (failing to achieve a goal, struggling in work, etc), you should always try to point out the lesson you learned in the situation, and how it helped you to become a better worker (manager, designer, nurse, teacher, programmer, etc). Bearing in mind everything you learned so far, I know it is far from easy to come up with good answers. It is especially difficult when you apply for your very first job, or experience anxiety in the interview. To help you with this challenge, I wrote an eBook that consists of multiple brilliant answers to all common and difficult behavioral interview questions. You will find it in the Interview Success Package. Thank you for checking it out, and I wish you good luck! Screening interview questions – Typically the very first step of any recruitment process. Learn more about the questions they ask in this interview. Teamwork interview questions – Teamwork is crucial for many jobs. Learn more about the questions the interviewers use to understand your ability to work in a team (and to lead a team).